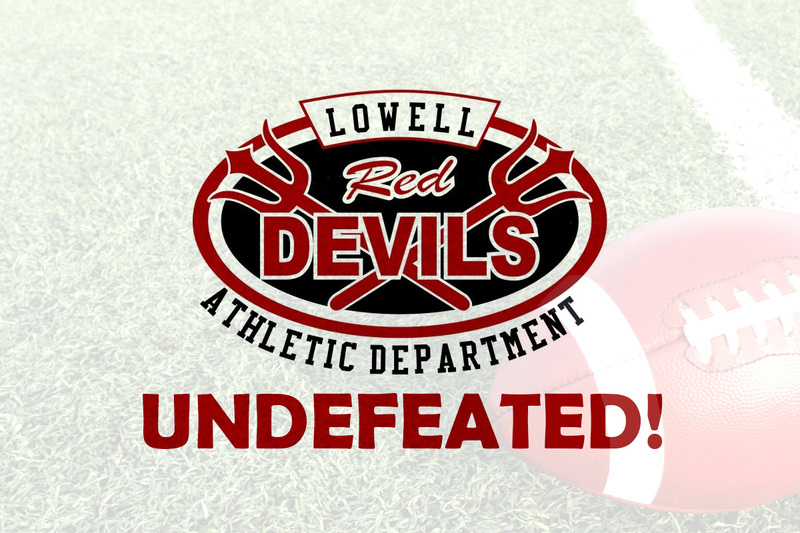 Congratulations to the Lowell Red Devils Football team for finishing their season undefeated with a 9-0 record. Their final game against Andrean ended with a 14-6 score that had all of the fans going crazy. This is the second time they have had an undefeated season, the last one occurring in 2008. Good luck to all of the teams as they move forward into sectional play!